VA loans remain a perfect choice for eligible veterans searching for a no down payment mortgage. Not only is the program 100% financing, but the veteran is also prohibited from paying certain kinds of closing costs. Interest rates for VA loans are very competitive and there is no additional monthly mortgage insurance payment, enhancing affordability. The VA loan isn’t always the best choice however in certain circumstances so other options should be explored. But when the VA loan is the perfect program, here are some things veterans should ask. How do I know if I’m eligible? There is a small box on the loan application where you check the one marked “VA” but the lender will need a bit more verification than that. To determine if you are eligible for this program, you’ll need to obtain a copy of your certificate of eligibility. Eligible borrowers include veterans, active duty personnel with at least 181 days of service, National Guard and Armed Forces Reserve members with at least six months of service and un-remarried surviving spouses of those who have died while serving or as a result of a service-related injury. How do I get my certificate of eligibility? The Veterans Administration is the only place to get this important piece of documentation. You can contact the VA directly and request this certificate on your own but the most convenient way is to let your loan officer make the request on your behalf. What might take a few weeks doing it on your own only takes a few moments when the lender makes the direct request. Can I use my VA eligibility more than once? Yes, you can use your eligibility more than once. However, if the previous property still has your VA loan on it, you may not have any eligibility left. This can happen when buyers assume an existing VA loan instead of providing their own financing. If you’re sold the property outright and the VA loan was paid off at closing, your eligibility is restored. Are you an approved VA lender? The VA approves individual mortgage lenders to process and fund a VA loan application. In some instances, the mortgage company will instead forward your application to a lender that is already VA approved which can increase the time it takes to process your application. What are your closing costs? You won’t need a down payment but all mortgage loans have closing fees, it just depends upon who pays for them. Borrowers are restricted from paying certain charges but there will be charges nonetheless. Common permissible charges can go toward an appraisal fee, credit, title, origination and recording fees. 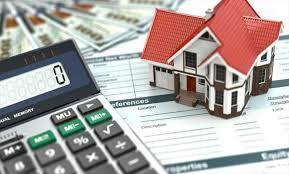 Your loan officer will provide you with a list of estimated costs you will see at your settlement. What are your interest rates? Because you’ve already decided on the type of loan you’re getting the next thing to know is what interest rates are today. You’ll need to first determine which VA loan & term you’re getting and then choose from a list of rates for that program. What kind of paperwork do you need from me? Your loan officer will also provide you with a list of documentation you’ll need to submit. You can expect to provide copies of your pay check stubs, W2 forms, bank statements and other paperwork once you submit your application. How much can I borrow? How much you can borrow depends upon how much you make each month, current interest rates and any other monthly credit payments you’re required to make such as a car payment or a credit card. Like all mortgages, VA loans do have debt to income ratio limits. Different loan terms can also mean different qualifying amounts. A shorter loan term will have higher monthly payments and will lower your qualifying amount while a longer-term loan will work quite the opposite. And remember, just because you’re qualified to borrow a certain amount doesn’t mean you’re obligated to borrow that much. What are my monthly payments? When you’ve selected your type of loan you’ll also be provided a monthly payment amount. VA loans include amounts for the principal and interest and a monthly allotment for property taxes and insurance, or PITI. Note that because rates change over time the monthly payment quoted to you will also change. It’s important to keep in close contact with your loan officer while you’re shopping for a home. New home buyers can read more VA purchase FAQ’s here. Existing homeowners can read VA refinance FAQ here. Please call us or just submit the Info Request Form on this page with any questions you may have.